Spring is officially here, and with it a desire to enjoy the great outdoors after a long, wet winter. One of the best ways to welcome spring is by planting a garden. According to Gail Nordhaus, R.N. 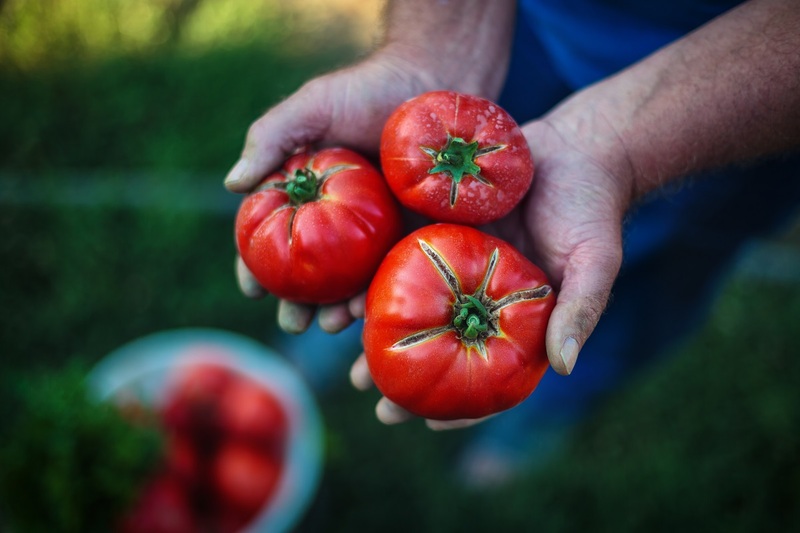 and Carilion Clinic community outreach coordinator, gardening offers many benefits, whether you’re tending an expanse of raised beds or a single flowerpot on a small apartment balcony. "My experience working with people is that the more you do, the more you want to do," she said. "The opposite seems to be true too, so I recommend that each person find an activity that’s enjoyable and speaks to their heart while exercising their body and mind." For many people, that activity is gardening. Sharing your bounty with friends and neighbors—better yet, trading with theirs—is one of the many joys of gardening. Exercise: Digging, planting and weeding are moderate in intensity and low in impact, which makes gardening an ideal exercise for seniors and people with disabilities or chronic conditions that make more vigorous exercise difficult. Vitamin D: Many of us feel sluggish and even a bit down after a winter spent indoors. Part of that may be due to a deficiency in vitamin D, which our bodies naturally synthesize after 10-20 minutes in the morning or late afternoon sun. 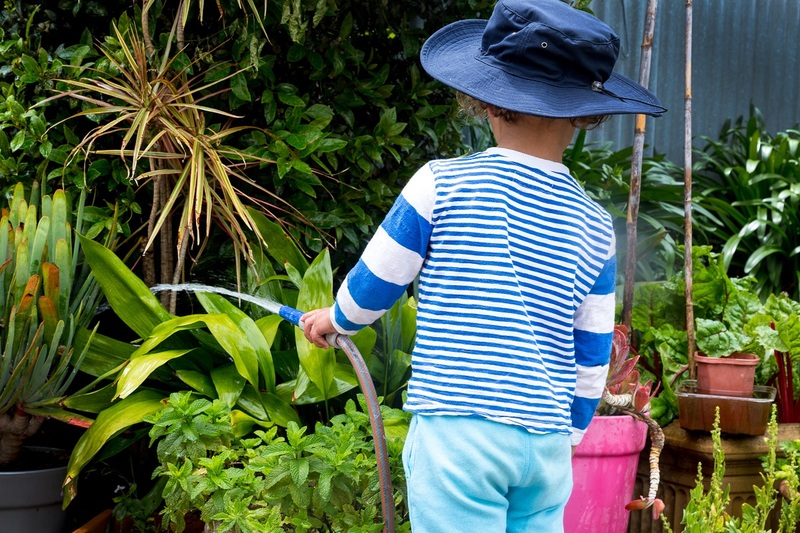 Nordhaus recommends that gardeners put on sunscreen and a wide-brimmed hat if they’re going to be out any longer than that, or if they’re out in the sun at midday at all. Fresh, healthy foods: This is a particularly enjoyable benefit, especially when you’ve planted your favorite fruits and vegetables! Slowing down: You can’t get your hands dirty in a garden if you are holding a smartphone. Gardening requires unplugging, slowing down and resuming a pace set by nature rather than technology. Socializing: Working a plot at your local community garden is a great way to make friends and strengthen neighborhoods. Many people find themselves refreshed by the solitude of working in their garden too. Creativity: Gardening is never finished, so you can never fail at it. That gives you freedom to experiment with different seeds, soils and schedules. Have fun with it! Gardening requires unplugging—you can’t get your hands dirty if you are holding a smartphone. There is a special joy that comes from helping others, for which gardening provides ample opportunity. Trading your extra harvest with neighbors is a time-honored tradition, and teaching children the basics of gardening can set them on a healthy path. Along with her work leading guided tree-spotting walks and educating consumers about healthy nutrition during grocery-store tours, Nordhaus volunteers to plant and maintain the flower pots at Carilion Franklin Memorial Hospital. In addition to gardening’s many benefits, Nordhaus points out a few cautions to be aware of. She also recommends gloves over bare hands, to avoid bug bites or anything sharp in the soil. Soil-related infections can happen if you have open cuts, a particular concern for those with compromised immune systems. And for those with arthritis or joint challenges, raised beds will be easier to tend than traditional ground-level beds. Most community gardens have raised beds available for users. If you're interested in gardening but not sure where to start, visit Carilion Clinic's Morningside Urban Farm in southeast Roanoke. Events are scheduled throughout the growing season to help everyone learn and grow together.